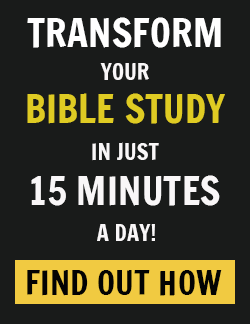 When I was in college in the 1980s, I came across a pamphlet entitled “How to Spend an Hour in Prayer.” I had been a Christian for just a couple of years, and I was intrigued. I knew about people called prayer warriors who placed great emphasis on conversing with God, and prayer seemed to come to them as naturally as breathing. Maybe you know some prayer warriors too. They constantly want to know your prayer requests. They habitually intercede for others. For them, spending an hour in prayer is no big thing. I myself have never been known as a prayer warrior. Ever. In fact, I am more like a prayer wimp. I find it difficult to keep my thoughts from wandering when I pray. They ricochet all over the place as I try to focus on communicating with God. Way back in the eighties when I came across that pamphlet, I decided that things were going to change. So I took off to a park one sunny, autumn afternoon with my Bible in hand and a resolve in my heart to follow the step-by-step guide. I felt like a spiritual giant. I settled myself on a quaint park bench near some pine trees and a lovely flower garden. I opened my Bible and looked down at my pamphlet and began to do what it suggested: “Spend five minutes thanking God for the blessings in your life. Spend five minutes praising God for his character qualities,” and so on. Apparently, breaking down the various categories into five-minute increments was supposed to help. But it didn’t help me. Five minutes seemed like an eternity. Pretty soon a jogger happened by. He was carrying a small portable radio — without headphones — and the blaring music distracted me. I couldn’t really get into worshiping the Lord with Michael Jackson’s “Beat It” blaring in my ears. (Hmm… maybe in retrospect I should have joined along, singing that tune out loud to the devil!) Two hyper squirrels decided to chase each other up and down a tree and around and around my bench. I laughed at their antics but again lost my place. A family having a picnic nearby decided to engage in a rousing game of Frisbee. The Frisbee got away from one of the children and soared past me, barely missing my head. Even when the animals and humans quieted down, still I had trouble concentrating. I couldn’t focus. I kept thinking of all the things I had to do back at the dorm. And I got distracted looking around at nature, even though it wasn’t making a sound. I gave up after twenty-three minutes and concluded I just wasn’t cut out to be a prayer warrior. 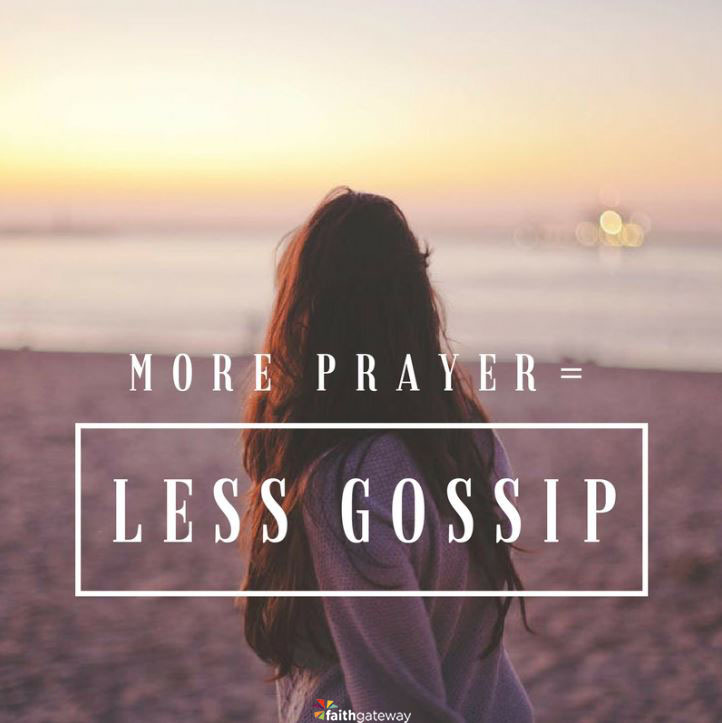 My prayer wimp status makes me feel spiritually inferior to those for whom prayer comes naturally, but it doesn’t stop there — a lack of prayer affects another area of my life. When I don’t pray, I am more likely to say things I later regret. Or to say something that needs to be said but I say it in the wrong way or at the wrong time. And there are even times that I say nothing at all when I should really be speaking up. Yes, when I don’t make it a habit to talk to God, I sometimes speak (or fail to speak) to others in a way I later regret. Talking to God helps me know how to talk to others. In addition to the fact that prayer warriors take communicating with God seriously, I have also noticed something else about them. They are not generally known for gossiping, using harsh words, or talking too much. In fact, just the opposite is true. Could there be a correlation between the time and effort spent talking with God and the quality of our conversations with others? Take my friend Kelly. She and I became close friends over thirty years ago when we were fresh out of high school and both landed on the same floor in our tiny midwestern Christian college dorm. She was on the cheerleading squad. I was on the dance team. She had only sisters. I had only a brother. Her favorite color is lavender. Mine is peach. But the greatest difference between Kelly and me? My mouth has often gotten me into trouble. However, in the thirty years I have known Kelly, I am certain I have never once heard her gossip. Seriously! While she seemed to spend a lot of time talking to the Lord, she did not spend time talking about others. Or talking in an angry way. Or saying the wrong thing. Or talking too much. I don’t ever recall her having to remove her foot from her mouth, something I seemed to have to do often during my college days. As I got to know her, I noticed right away that she took her relationship with Christ very seriously. Oh, she wasn’t one to do acts of righteousness before others so that she could be thought of as super spiritual. I just noticed things. Like the fact that she often had her Bible open on her dorm bed, where she had highlighted passages (with a lavender highlighter, of course!). Or I would spot her writing in her prayer journal, recording requests from family and friends that she had promised to pray for. She often sent me a note in the campus mail, telling me she was praying specifically for me. The more I got to know her, the more I realized just how important prayer was to my friend Kelly. Watching Kelly’s life over the years has convinced me that there is a direct correlation between our prayer life and our conversations. Perhaps if we spent more time and energy on our prayer life, we would use our tongues more wisely. 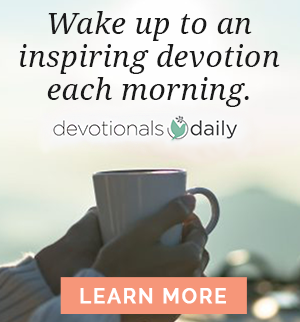 Excerpted with permission from Keep It Shut: What To Say, How To Say It, And When To Say Nothing At All by Karen Ehman, copyright Karen Ehman. Do you have a friend like Kelly who encourages you by example to spend your words wisely? Do you have a habit of saying things you later regret. Of gossiping? Of using harsh words? Those are battles we can refuse to lose even if it’s a process! This Psalm can be a constant prayer. Today, let’s pause and ask the Holy Spirit to “Set a guard over my mouth, Lord; keep watch over the door of my lips.” Psalm 141:3. Come join the conversation on our blog! We would love to hear from you about learning to zip it and pray!